It took a couple of years before that first game happened and when it did, he played to win! I won’t go into details now, but I want to tell you the two things that stuck with me the most. My father told me that I have to learn to not count on my Queen so much – remember that you have other pieces that will help you win – and when I look at every piece on the board, I am to think three moves ahead for each of them (mine and theirs), and when a move is made, (repeat the process) do it again. I did think at the time that I wouldn’t like the game very much, but after learning it, today I can actually live my life like a chess game! And I was using Mary Ellen Copeland’s 5 key concepts in W.R.A.P. before it became W.R.A.P. Let me explain. The game originated in India, around the 6th century AD., and its purpose was believed to be for battle strategies. They used Chess to help improve mental abilities such as problem solving, critical thinking, pattern recognition, planning ahead, spiritual awareness, focus and concentration. That sounds familiar? Mmmmm…. 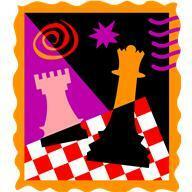 In the game of chess there are 32 pieces; 16 Pawns. 2 Queens, 4 Bishops, 4 Knights, 4 Castles [sometimes called Rooks] and let’s not forget the 2 Kings (the pieces being protected). The key to the game is simple; capture the opponent’s king. Most people think this game can only be played by Intellectuals but is that a fair statement? I believe that you only have to use intellect or awareness! Never the less; if I explain the comparison between the two concepts well enough; you should be able to make an intellectual decision for yourself. Let me start with the 5 key concepts and then the value of the chess pieces and their responsibilities. Hope / Pawn – People who experience mental health difficulties get well, stay well and go on to meet their life dreams and goals. (It creates the first line of defense and moves one step at a time to assist in winning or to win the game itself). Personal Responsibility / Queen – It’s up to you, with the assistance of others, to take action and do what needs to be done to keep yourself well. (There isn’t a piece on the board that holds a higher leadership role; it dictates the direction to win the game but she cannot do it without assistance from one or more pieces). Education / Bishop – Learning all you can about what you are experiencing so you can make good decisions about all aspects of you life. (The board has black and white spaces, the two Bishops sit one on black, the other on white. These pieces provide protection or affirmative action for those designated spaces diagonally across the board). 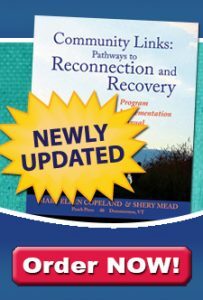 Self Advocacy / Knight – Effectively reaching out to others so that you can get what it is that you need, want and deserve to support your wellness and recovery. (The Knight sits in one place but can advocate and defend an eight space radius ). Support / Castle – While working toward your wellness is up to you, receiving support from others, and giving support to others will help you feel better and enhance the quality of your life. (It protects and defends spaces horizontally and vertically across the board, toward the end of the game both together or one with the Queen and or other pieces are almost unstoppable in creating a win).